This is the replacement spring for the Louisville Slugger Ultimate Pitching Machine. It comes with 2 Rubber Runner for the Throwing Arm and 2 bolts and nuts to attach the spring to the Spring Bracket and the Throwing Arm Bracket. This is the replacement spring for the Louisville Slugger Ultimate Pitching Machine also know as the UPM 45, Blue Flame Pitching Machine. This also the replacement kit for the Black Flame Pitching Machine. 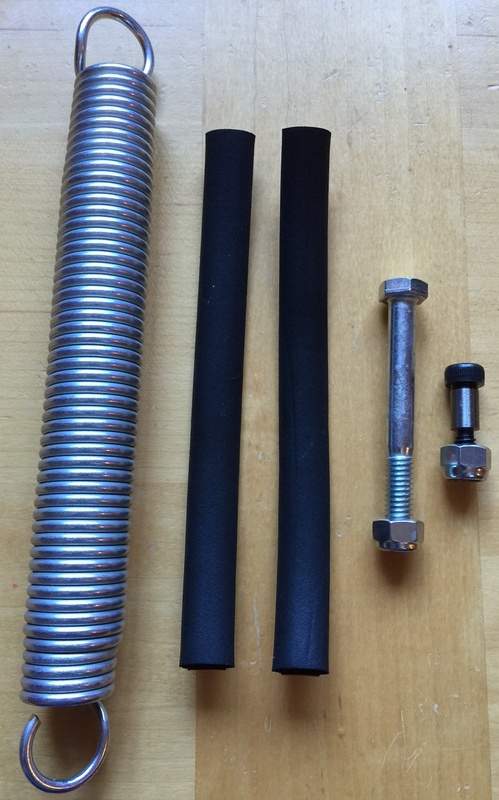 It comes with 2 Rubber Runner for the Throwing Arm and 2 bolts and nuts to attach the spring to the Spring Bracket and the Throwing Arm Bracket.